If you're looking to reduce the pressure on your back or tailbone while sitting for extended periods, especially on hard chairs, this cushion will provide welcome relief. Made of high-density foam that retains its shape, the cushion will meld to your body contours, giving you comfort and support. Due to its ring shape design, it's also helpful for women healing after childbirth or for those who suffer from haemorrhoids. Yet it's discreet! The hole in the centre is cleverly hidden by fabric so you can take it anywhere. It's ideal to use in the home, office or car. The DMI Melded Foam Ring Cushion also makes a great travel pillow for your car or truck. Help ease the pain that comes from long trips or even your daily commute by sitting on this supportive cushion. Those with lower back pain or tailbone pain will find it especially helpful while on the road or when traveling in trains or planes. Instantly transform the look of a room with this elegant square accent pillow in an eye-catching abstract dot design. In a tasteful two-tone gold and grey colour, this cushion adds a chic update to a chair, sofa, bed, or entryway bench. The woven design on both sides is on a soft polyester fabric and the convenient side zipper allows for easy removal of the poly fill insert to machine wash the pillow cover. This classic throw pillow will give beautiful texture and dimension to your dicor! Instantly transform the look of a room with this elegant square accent pillow in an eye-catching abstract dot design. In a tasteful two-tone light and dark taupe colour, this cushion adds a chic update to a chair, sofa, bed, or entryway bench. The woven design on both sides is on a soft polyester fabric and the convenient side zipper allows for easy removal of the poly fill insert to machine wash the pillow cover. This classic throw pillow will give beautiful texture and dimension to your dicor! 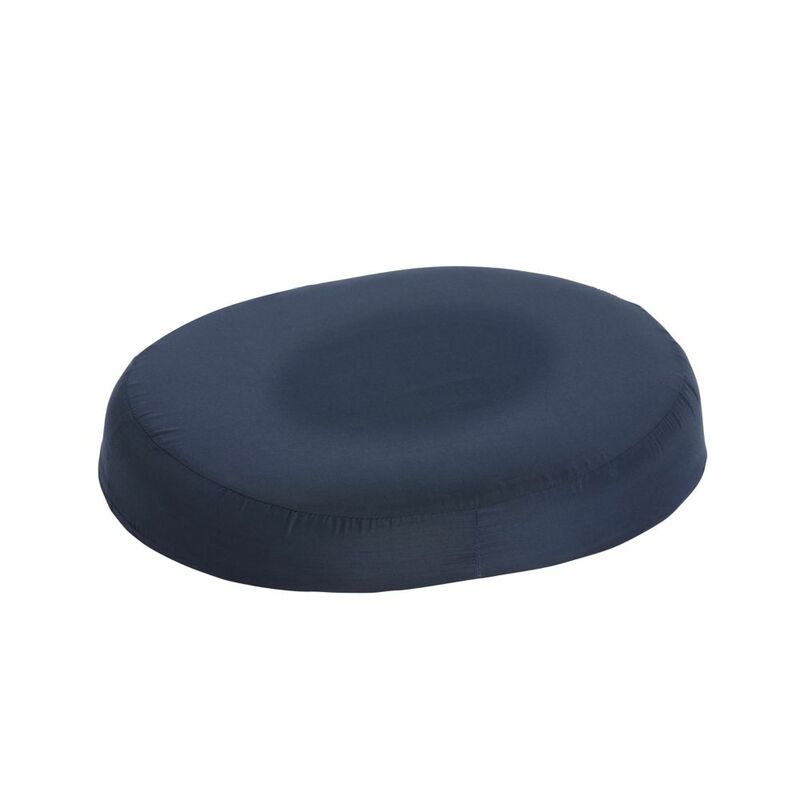 18 inch Molded Foam Ring Donut Seat Cushion Pillow If you're looking to reduce the pressure on your back or tailbone while sitting for extended periods, especially on hard chairs, this cushion will provide welcome relief. Made of high-density foam that retains its shape, the cushion will meld to your body contours, giving you comfort and support. Due to its ring shape design, it's also helpful for women healing after childbirth or for those who suffer from haemorrhoids. Yet it's discreet! The hole in the centre is cleverly hidden by fabric so you can take it anywhere. It's ideal to use in the home, office or car. The DMI Melded Foam Ring Cushion also makes a great travel pillow for your car or truck. Help ease the pain that comes from long trips or even your daily commute by sitting on this supportive cushion. Those with lower back pain or tailbone pain will find it especially helpful while on the road or when traveling in trains or planes.